Hong Kong-återförsäljaren WGC Shop informerar om deras årligen återkommande fototävling. De vinnande bidragen hamnar i deras kalender för 2011. Vi har tidigare skrivit en bloggpost om deras kalender för 2010. 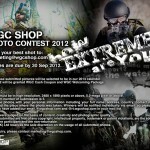 WGC Photo Contest has been held for 3 years with the goal of bringing all airsofters in the world together. We are so glad of receiving lots of images from all of you over the past few years. 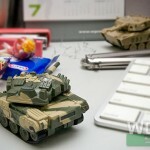 We know that those images are more than photos; they tell stories and rekindle memories. So, we sincerely invite you to share your treasures with us this year. 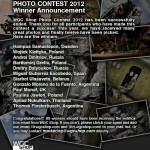 You may win our prizes and have your photo published in WGC 2011 calendar. 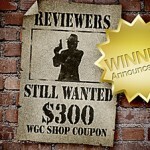 Send us your best shot to marketing@wgcshop.com. 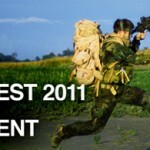 Entries are due by 20 Sep 2010. Photos must be in high resolution, 2480 x 1890 pixels or above, 5.0 mega pixel or above. Email the photos with your personal information including your full name, address, country, contact number, email and the place where the photo was taken (winners will be notified individually via email, so please make sure you have added our email (@wgcshop.com and @rt.wgcshop.com) in your mail list).